This project was a real pain in the neck, and I won't be doing it again. 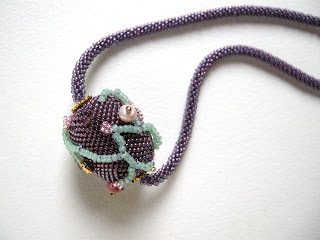 I love the kumihimo part, which was done with #15 seed beads on a fine beading thread. 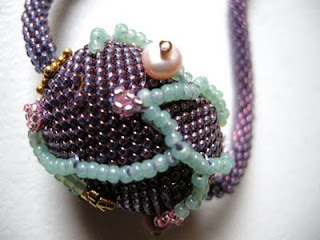 It took a very long time to do, however, and there are a couple of spots where there was no bead. 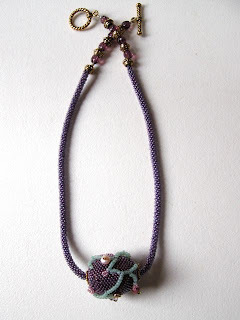 The embroidered peyote bead wasn't fun however. But in a while, I may feel a lot better about the necklace than I do now! Stunning piece. What did you not like about the project. Are you still in the water? We're landlubbing at the beach a lot down here in sunny Savannah. Come on down!